For those who wish to enjoy movies and listen to music but lack the space or the money for two independent systems, finding a receiver that strikes the right balance between the two media is critical. Several companies known for their two-channel gear long ago began to address this, offering receivers that provide a “music first” or a “sound first” approach to home theater. Among them is Britain’s Cambridge Audio, which offers four choices of Azur A/V receivers: the 351R ($879.99 USD), 551R ($1299.99), 651R ($2299.99), and 751R ($2999.99), each increase in price adding power and more connectivity. The 351R lacks a video scaler -- it accepts video signals only via HDMI. Both the 351R and 551R use CAMCAS (Cambridge Audio Mic Controlled Auto Setup), Cambridge’s in-house system for automatic setup of multichannel speaker arrays, instead of the more common Audyssey 2EQ found in the Azur 651R and 751R. 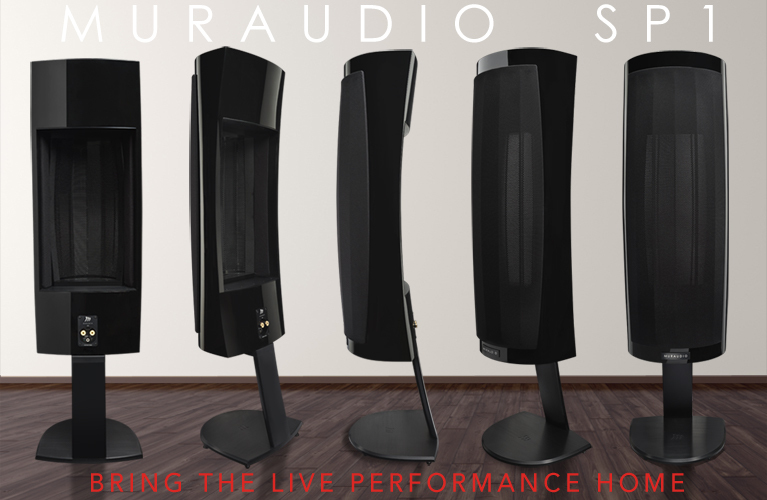 CAMCAS provides a simple amplitude and phase configuration process whereas Audyssey 2EQ measures the listening room at three specific places and sets phase, amplitude, timing, crossover, and high- and middle-frequency equalization to adjust the speakers’ outputs to complement the room’s contributions to the sound. 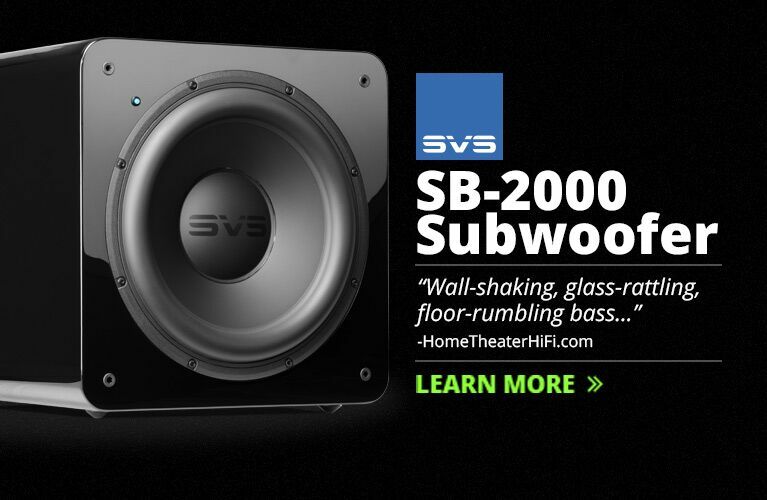 Audyssey 2EQ does not EQ the subwoofer, however. The 551R, 651R, and 751R use the same chips for DAC and codec, the latter two models also providing DSP and scalers. The 751R adds two more HDMI inputs, USB, and audio upsampling. 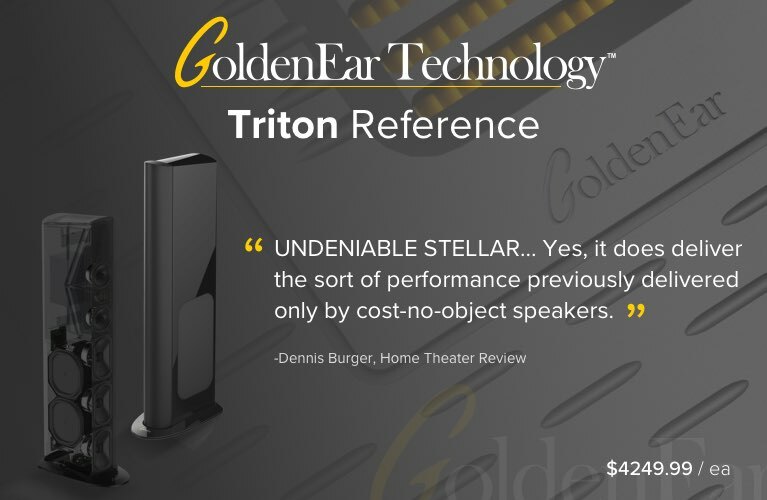 Compared to the its predecessor, the 650R (reviewed by SoundStage! Network in April 2011), the 651R adopts the newer HDMI 1.4a standard; adds an additional HDMI input, video upscaling, and an independent Zone 2; and upgrades the DSP infrastructure, among other enhancements. At 16.9"W x 5.9"H x 16.5”D, the Azur 651R is a full-size component in an all-metal black box and weighs a hefty 38.3 pounds. Fortunately, it was delivered to my door -- I’m not sure its double-box packaging would have fit in my car’s trunk. Visible through the top grille is a huge low-flux toroidal transformer -- in operation, the 651R is markedly warmer over that part of the top panel. To dissipate the heat, Cambridge’s X-Tract Convection Heat Tunnel runs down the center of the case, to a fan that’s turned on only when needed. I can’t report on the fan’s noise -- it never came on during my listening sessions. The fan’s sound output is a claimed 28dB -- louder than the fans I choose for my computer builds -- but my guess is that it wouldn’t be distracting, as it would come on only when the music is very loud. The 651R has a proliferation of connectivity options: four HDMI 1.4a (ARC and 3D pass-through; the more recent 1.4b standard adds only 1080p at 120Hz), three component video, four S-video, four composite video, five coaxial, five TosLink optical, one minijack, eight RCA line level, and a 7.1-channel input. Included among these are a set of analog audio, minijack, composite, S-video, and optical inputs on the front panel. For outputs, the 651R has two HDMI (output A supports Audio Return Channel), seven speaker channels, and a 7.2-channel preamp output. For recording, two each of line-level, coaxial, and optical are provided, but the receiver will not convert between formats. While PCM content can be passed, bitstream data -- Dolby or DTS from a Blu-ray -- is not converted to PCM for the Recorder output. Zone 2 offers 2.1 channels of pre outs, along with component video, S-video, and composite video; Zone 2 does not output digital content with separate programming from the main zone. The 651R is fed power via a detachable IEC cord. On the 3/8”-thick faceplate are a 1/4” headphone jack, a silky-smooth volume knob, and a large display with a two-line, fully dimmable, blue readout to identify the source, volume in -dB, which speakers are active, and the format being played, though not the signal’s bit or sample rate. Pressing the Info button doesn’t actually provide more information, but simply scrolls the source material type. While the volume is being adjusted, the level in dB is shown in large numbers; afterward, the level is displayed in tiny, hard-to-see characters. While the 651R’s audio input mode can be changed via the remote control, the audio input indicator on the display is unreadable from the listening seat. Anything adjustable from the remote control should be legible from 10’ away, even if it’s shown only temporarily. The source labels can be edited (to “Blu-ray” for example). While the 651R will remember the sound mode last used for each input, the volume level last used is applied globally. Since some sources provide stronger signals than others, it would be useful if the 651R remembered the level last used for each input, as some other receivers do. The front panel provides direct source selection, tuning and preset buttons for the AM/FM tuner, a button for audio input type (analog vs. digital vs. HDMI), and buttons for cycling through stereo and surround modes, picture adjustment, mute, and, tellingly, for Analog Stereo Direct, which sidesteps A/D-to-D/A conversion. The 651R offers a full suite of Dolby and DTS support: Dolby TrueHD, Dolby Digital Plus, Dolby Digital Ex, Dolby Pro Logic II/IIx/IIz, DTS, DTS ES, DTS Neo:6, DTS-HD High Resolution Audio, DTS-HD Master Audio, and DTS speaker remapping. Supporting this are several powerful chipsets: Texas Instruments Aureus DA788 32-bit DSP, Cirrus Logic CS43122 24/192 DAC for the front channels, Cirrus Logic CS52526 24/192 CODEC for the surrounds, and an Anchor Bay ABT2010 video scaler (to allow all video content to be output at 1080p/60Hz via HDMI). Rounding out the core feature set are an AM/FM tuner with RDS support and storage for 15 presets, and an independent Zone 2 audio and video output. The Zone 2 outputs are analog only, which is typical, likely owing to piracy paranoia. For integration with a control system, the 651R has RS-232C connections, three in and three out (one for Zone 2) infrared minijacks, two 12V configurable trigger minijack outputs, and a control bus in/out on RCA jacks. Integrator documentation is available on Cambridge’s website. HDMI CEC is also offered, but there’s no direct support for two-way IP control, something I’d like to see on all AVRs. An expansion port is provided to allow for such devices as a streaming box or iPod dock. The 651R is rated to output 100Wpc into 8 ohms, all seven channels driven, or 175Wpc into 6 ohms with two channels driven, with a maximum rated power consumption of 1400W. I appreciate the all-channels-driven rating -- the makers of many down-market AVRs neglect to provide that specification, instead quoting only a two-channels-driven figure. With this level of power consumption, one should consider a separate circuit for the installation and give the 651R plenty of breathing space. I wouldn’t install it or any AVR in an enclosed cabinet. If it needs to be out of sight, the built-in IR extension port offers that option. The much smaller Zone 2 remote offers direct source selection, volume, mute, preset skip, and a Follow Main button, which triggers a mixdown of the main zone’s content. The remote receiver on the 651R’s front panel has a somewhat narrow range -- I had to aim the remote a bit rather than simply press a button with the remote resting on an end table or armrest, as I can with my other remotes. The 651R is supported with a three-year warranty, better than many receivers; Cambridge Audio’s Customer Care Centre requires registration for this to take effect. As noted above, the Azur 651R has a multiplicity of connections: 109 on the rear panel, and another seven on the front. Devotees of exotic cables would go bankrupt! I popped out the banana-port covers and started plugging away. It was refreshingly easy to connect the 651R. The jacks are well spaced and logically grouped; cable management was a simple affair. For HDMI, I connected a plasma display, BD player, media streamer, and computer, connecting the computer via optical as well. I used 5.1 channels of the 7.1-channel input for my SACD/DVD-A player, along with component for its OSD. I connected my CD player and phono stage to RCA analog inputs, with the CD player connected to a coaxial input as well. I screwed in an FM antenna and set each analog input to use analog stereo direct mode -- the multichannel input does so by default. If using 5.1 channels, as I do, you have the choice of what to do with the remaining two channels of amplification, which in a 7.1-channel configuration can be used for rear surround or height channels. 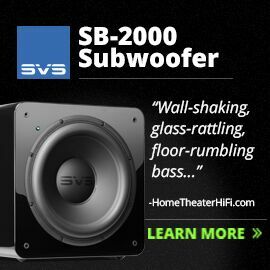 They can also be used to biamp the front left and right channels, power the Zone 2 speakers, or remain idle. I fired up the onscreen display and navigated the menus, assigning video and audio ports to the nine configurable source buttons (television via ARC is accessed by double-tapping the Aux button), and gave them full-length names for the 651R’s front-panel display. The OSD has settings for separate crossovers for the front, center, and surround channels, speaker levels and distances, several aspects of video processing, two triggers, DTS speaker remapping, and dynamic limits, among others. Except as mentioned, I went with Cambridge’s default settings. I plugged the Audyssey mike into a line-level input on the 651R’s front panel, mounted it on a camera tripod, and set it on my listening chair with the mike’s diaphragm at about ear level. The 651R offers two ways to automatically configure speaker level, distance, and crossover: with one or three mike positions. The extra two measurement cycles establish left and right boundaries for the listening area. I ran it through the full three-position process for my 5.1-channel setup. 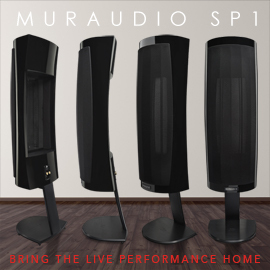 Through the 651R, Audyssey played an electronic whoop whoop -- a frequency sweep rather than a single pitch -- from each connected speaker, pausing quite a while after each to perform calculations. This is a guided procedure; Audyssey’s OSD screens keep you apprised of what it’s doing, and give you a chance to confirm or reject the settings at the end of the process. The system also will report if any speakers are out of phase. For those who wish, manual setup options are also available through the OSD; if you do this after running Audyssey, you begin with 2EQ’s settings. The 651R has a few other interesting features. Audio Split lets you change the audio playback without changing the video; e.g., you can listen to music while watching a game. Separate Lip Sync values -- modifiable from the front panel or, more usefully, the remote -- can be stored for each input. Lip Sync anomalies occur when an AVR takes long enough to process a video signal that its display of the picture lags behind the sound. Of the available choices for BD movies, I found that a delay of 30ms worked best, but it still wasn’t quite right; 27ms would have been better. Playing music files through the Azur 651R via HDMI from my Roku streamer or a PC, I found that the sound would drop out for a few seconds between tracks as the Cambridge identified the datastream (in this case, its display read “PCM”). It did the same when I resumed play from pause -- with BD movies, there was no sound for one or two seconds after resuming play. This was disruptive for albums with gapless playback of consecutive tracks. There were no dropouts via optical connections. Similarly, switching between sources was slower than I would have liked: typically, two to three seconds between HDMI sources, and four to five seconds between analog (component) and HDMI. My TV is noticeably quicker at making these switches when directly connected to the same video sources. I like to listen to two-channel music through two channels. While the Azur 651R offers a number of modes for playing two-channel recordings through a multichannel speaker array, I prefer to use the mix provided by the original recording engineer. If I want multichannel music, I’ll reach for my multichannel SACDs. Playing CDs through the 651R’s built-in DAC, I found that the Azur provided healthy amounts of power and control, which was helpful for rock albums like Eric Clapton’s The Cream of Clapton (CD, Polydor 31452 7116-2). There was a nice bit of kick even at medium-loud levels, along with strong and tight low bass. The soundstage was, however, small and flat. The 651R’s DAC was more neutral than the one in my many-years-old Music Hall MMF CD-25 CD player, but it didn’t provide markedly greater resolution when I listened to violinist Lara St. John, accompanied by the Simón Bolívar Youth Orchestra of Venezuela conducted by Eduardo Marturet, perform Vivaldi’s The Four Seasons and Piazzolla’s The Four Seasons of Buenos Aires (SACD/CD, Ancalagon ANC 134, CD layer). I’ve heard better from DACs of recent vintage, such as Bel Canto Design’s e.One C7R and Resonessence Labs’ Concero, particularly in terms of soundstage resolution and instrumental timbres. With large-scale orchestral works, such as Janáček’s Glagolithic Mass and Taras Bulba, performed by the Prague Radio Choir and the Leipzig Gewandhaus Orchestra, led by Kurt Masur (CD, Philips 432 983-2), the 651R provided wide dynamic range, particularly in Slava, from the Mass, ranging from soprano Venčeslava Hruba singing over airy upper-range woodwinds to the power of massed orchestra and choir passages with the timpani banging away. This rather early CD (1991) never sounded too bright, as it often does through other systems; even the higher frequencies had appropriate smoothness and warmth. Nonetheless, I found the 651R sounded best when the focus was on a single or only a few instruments, such as the organ in Varhany. Similarly, while I was happy with the 651R’s overall tone in terms of the absence of brightness and the essences of instrumental characters, from lyrical to heavy handed, in Kalevi Aho’s Sonata for Two Accordions, performed by Veli and Susanne Kujala (16/44.1 FLAC, BIS/eClassical), I couldn’t tell where on the soundstage one accordion ended and the other began. The 651R was able to extract greater detail from higher-resolution than from standard-rez recordings. Gjermund Larsen’s Polonese -- performed by the Norwegian Soloists Choir on their White Night: Impressions of Norwegian Folk Music (16/88.2 FLAC, BIS/eClassical), with singer Berit Opheim Versto, Larsen on hardanger fiddle, and conducted by Grete Pedersen -- offered a wide soundstage with more discrete instrumental and choral voices, while at the same time providing the choir’s rich blend of sounds. The traditional tune “Gjendines Bådnlåt (Gjendine’s Cradle Song),” arranged by Gunnar Eriksson, lacked some detail in the fiddle transients, but on the whole I found the sound musically engaging. Although I was unable to get SACD (PCM transcode) to work via HDMI, I did listen to SACDs through the 651R’s multichannel analog inputs, which provide a pure analog path through the receiver. From Iván Fischer and the Budapest Festival Orchestra’s recording of Rachmaninoff’s Symphony No.2 (SACD/CD, Channel Classics CCS SA 21604, multichannel tracks) I heard good dimensionality from the high-quality amplification in each and every channel. The mid- and low-range control was excellent, and was particularly noticeable in the “Dies Irae”-derived brass chorale toward the end of the second movement, Allegro molto. The 651R’s AM/FM tuner was perfectly serviceable. Connected to my Fanfare indoor antenna, it was able to pull in 30 FM stations, some from as far away as 70 miles. While the Cambridge tuner was less revealing than the best, I suspect that most users, after assessing their listening practices, won’t feel the need to upgrade to a separate tuner. I played Oscar Peterson’s Soul Español (CD, Limelight LS 86044) in my Sony BDP-S590 Blu-ray player, sending the signal via HDMI to the Azur 651R, and also connected the 651R’s Recorder 2 optical output to the Bel Canto Design e.One C7R, and listened to a few tracks from each receiver’s headphone output through Grado SR80 headphones. The Bel Canto displays the incoming sample rate, which I was pleased to find was accurately reported as 44.1kHz. What I heard from the Bel Canto was more crisp, precise, and delicate, particularly in the piano’s upper ranges -- the exposed touches of the piano’s topmost keys were exquisite. In the lower register, the 651R delivered more bass than the Bel Canto, but it was less defined. 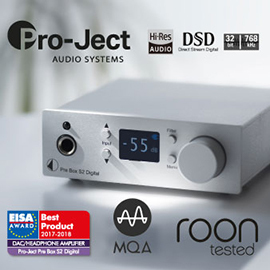 For serious headphone listening, one may wish to use the 651R’s extensive output options (digital and pre out) to connect a dedicated headphone amplifier. In fact, such a practice would be a fine use of the 651R’s Zone 2 Follow Main function. About a year ago, I had in for review NAD’s C 375DAC, which costs about two-thirds the 651R’s price. 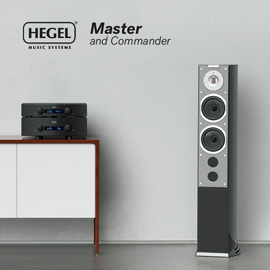 Less rich in features than the Cambridge, the NAD bests it in both control and detail. That said, for two-channel music the 651R came close, and adds a number of capabilities: tuner, multichannel music, additional digital inputs, and the movie decoders. James Bond films, as a rule, have all the elements needed to give an AVR a thorough workout, and the most recent, Skyfall, comes with a demo-worthy DTS-HD Master Audio soundtrack with full-length songs, instruments evocative of exotic locales, orchestral scores, and movements of sounds across the soundstage. The main title song, by British pop star Adele, captures the melodrama just right with her bombastic, soulful contralto, in many ways reminiscent of the canonical Bond title song “Goldfinger” as performed by Shirley Bassey. The movie is backed by an omnipresent, BAFTA-winning orchestral score by Thomas Newman. Skyfall has much more music than the typical film, and the 651R made the score’s presence felt in a way that enhanced the drama with crispness and the needed layers of suggestive sounds. There are explosions galore, bullets whizzing around, motorcycle chases, and, most impressively, helicopter sequences. The 651R seamlessly delivered sound effects, voices, and music to areas of the soundstage to match the action onscreen and had no trouble keeping up, apart from the lip-sync problem. The 651R’s video-processing bypass mode appears to provide a true bypass -- the signal going through the receiver and that directly fed to the display were visually indistinguishable. An Anchor Bay ABT2010 upscaler is provided for standard-definition material such as DVDs. I tried this in two ways: via an analog (component) output of my universal player, and via HDMI (switching off the scaler in my Blu-ray player). 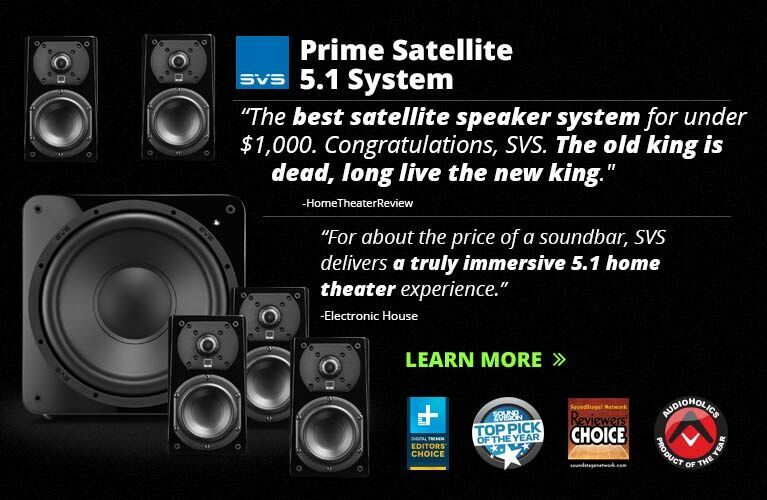 The 651R was no better and no worse than the scalers in my BD player and TV, and I saw no ill effects. I’ve been looking to upgrade to a receiver or integrated amplifier that offers the right balance of features and sound quality for music and movies. As AVRs go, Cambridge Audio’s Azur 651R is an excellent receiver for music, although, not surprisingly, it’s no substitute for the best two-channel gear for two-channel recordings. Where the Azur 651R excels, however, is in its ability to incorporate legacy formats, media, and devices into a contemporary home theater by providing upscaling of even S-video -- inputs for these signals are becoming rare -- to 1080p HDMI, and a true analog bypass for audio. The Azur 651R would be a fine choice for someone who wants to use a single box for listening to music and watching movies but who is more focused on the music -- especially multichannel music.